“The business of government is not the business of a selected few that has metamorphosed into a cabal. As it has been rightly said; “Power corrupts and absolute power corrupts absolutely”, we need to restrain the power by breaking our oath of silence. 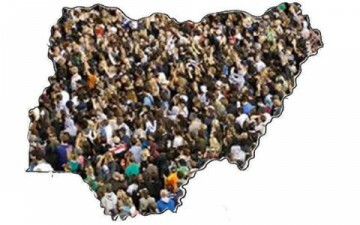 Everyone is a major factor in the sustainability of the country’s sanity and improving on the dividends of governance“. Due then to the failure of the government, a lot of profiteers and exploiters have now sprung up in taking over the role of the government. Everyday, we discover the gradual decay of the moral thread that holds sanity close with unity. The affinity between the government and its people has now experienced profligate dehumanisation. The ubiquity of the failure of the government throughout history has given the institution a certain level of legitimacy – the legitimacy of familiarity. I will attempt to give an insight into two particular sections of the country that has witnessed proliferate degeneration and subsequently causing a great deal of concern to well-meaning Nigerians: Education and Religion. These two form the other legs that comprise the tripod on which a country stands – the last being politics (government). Of course, the government with the task of providing quality education for its citizens also has the duty of providing a conducive learning environment for private institutes of education that will supplement its efforts. However, the reverse is the case as the government only provides schools to which they won’t dare to send their children due to the degrading facility and poor academic conditions in such schools. A lot of Nigerian kids are called stupid when it is clearly not their fault – they are taught by teachers that cannot distinguish between a noun and a verb and leave the school to attend to their personal business. Some even sell to these children. Subsequently, upon its failure to adequately provide either of the above two, the supposed private sector that has interest in education has become money-making machines who exist largely to gulp the depleting kobo in the pockets of the minimum Nigerians; for those who still have sweat through their nose to educate their future. The ever growing business that will forever find a ready audience is starting a school; be it primary, secondary or university. Religion on the other hand always has been the opium of the masses. The blind and fanatical approach to religion has thrown the country into religious terrorism and put into power selfish power-drunks. Little wonder we find religious institutions preaching financial empowerment and faith that works blessings monetarily. From this background, they build lofty schools with high extortionate fees and expect children of only those who they have preached to and God has blessed financially to attend. These are schools the lecturers can’t even afford to send their children. How many of us work in hospitals we cannot afford to get sick in? How many of us work in a school we cannot afford to send our wards? How many of us keep two jobs just enough to be broke? How many of us work in supermarkets we cannot afford to shop in? How many of us work in a city we cannot afford to live in? How many of us work in a hotel we cannot afford to stay in? These are the dire questions that beg for answers. They won’t go away simply because we wish them gone. Conscious and concerted efforts need to be put in place. What are these efforts? First, the governed must be ready to make their governors accountable. The business of government is not the business of a selected few that has metamorphosed into a cabal. As it has been rightly said; “Power corrupts and absolute power corrupts absolutely”, we need to restrain the power by breaking our oath of silence. Everyone is a major factor in the sustainability of the country’s sanity and improving on the dividends of governance. We also need to greatly reduce our dependence on the government. When the government becomes too powerful that it meddles even in the personal lives of its citizens, development is shifted to the government only. Japheth Omojuwa, the social agitator for liberty once said during a conference; “You can have a prosperous nation and have poor people, but you can never have a prosperous people and have a poor nation.” The people of this country need to produce wealth and restrict the government to only appropriate the wealth by creating a free flowing, wealth distribution atmosphere. The government is not going to do everything for us. It was not designed to. We need to achieve a level of independence and allow the government to work and walk. We also need to create a clear distinction between politics and religion. According to Frank Idodi, Nigeria’s problem is trichotomic. He said “Politics has been religionised, religion politicised and both politics and religion have been commercialised”. Religion has become an institution of hypocrisy and deceit and it has been smeared in partisan politics. We have to keep a clear head and approach governance and its parties with non-religious sentiments. On education, we have to make education a level one agendum and improve on its prestige. Youth nowadays shy away from education because it is gradually losing its importance. More get-rich-quick avenues are beginning to crop up to displace education in its power to create wealth. Why should I spend years getting educated and still serve as a boss-boy to those that are not or less. Literacy is gradually shifting from being educated formally to your knowledge and experience of the world and its twists. The exorbitant price paid to be educated is becoming too much to bear. Of course you will be quick to say “If you think education is expensive, try ignorance”. True. However, even the word expensive has limits. These days, we find the non-educated making the money while the educated help in counting, calculating, and even protecting it. Ironical! Finally, I leave you with the words of the popular Hip Hop artiste, JayZ, “Whatever deity may guide my life, dear Lord, don’t let me die tonight. But if I shall before I wake, I’ll accept my fate.” This is the prayer of Nigerians that have resigned to fate and go to bed unsure of what their leaders will surprise them with upon waking. The January 1st declaration of the President on the withdrawal of fuel subsidy is still fresh in their minds. It’s time we changed that prayer. I will speak and I will be heard. • Ayodeji lives in Osogbo.